Chrissy Seipel and her son walked through the bird feeder section of a pet store to get to the dogs and cats. Within minutes, 2-year-old Ryan had hives up and down his back, his face had swollen and his eyes were watering. Even though he had not touched them, the peanut butter dog treats had triggered a severe nut allergy. The reaction was similar to what had occurred a year earlier in the doorway of Texas Roadhouse, known for its large bin of peanuts. While in the arms of his father, Shawn, Ryan had a severe reaction to peanut particles floating unnoticed in the air. The Centers for Disease Control and the Summary of Health Statistics 2017 National Health Interview Survey both show that about 6 percent of children in the United States are affected by food allergies. 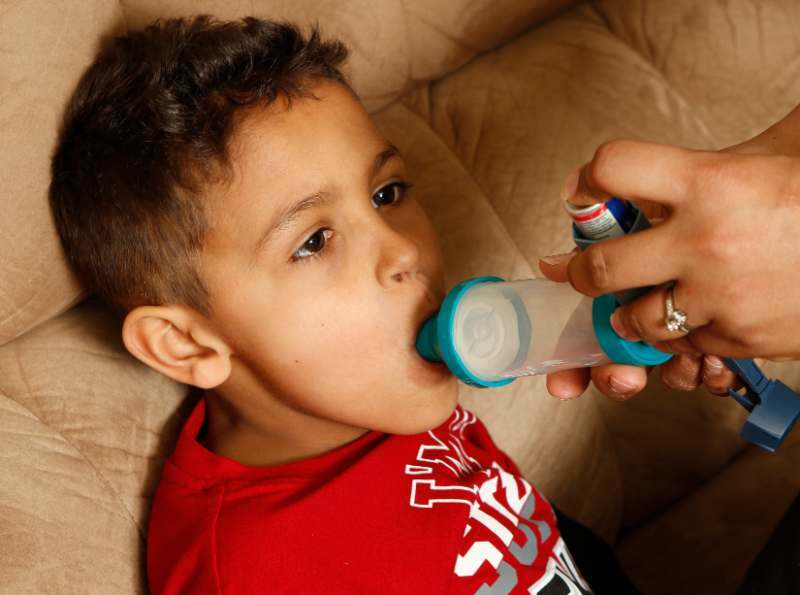 Hava Ladinsky, M.D., an allergist at the Asthma and Allergy Center in Westminster, says food allergies can trigger a variety of reactions, causing symptoms like Ryan’s, but also vomiting and diarrhea. Ninety percent of food allergies in children are to cow’s milk, eggs, soybeans, wheat, peanuts, tree nuts or shellfish. Most kids outgrow allergies to milk, egg, soy and wheat by the time they are 5, Ladinsky says. Introducing these foods early can help, she says. Once a child is accustomed to cereal at about six months, safely introducing high allergy foods one at a time can reduce risk. By 9 months old, Ladinsky’s son had eaten all of the high allergy foods without reaction. 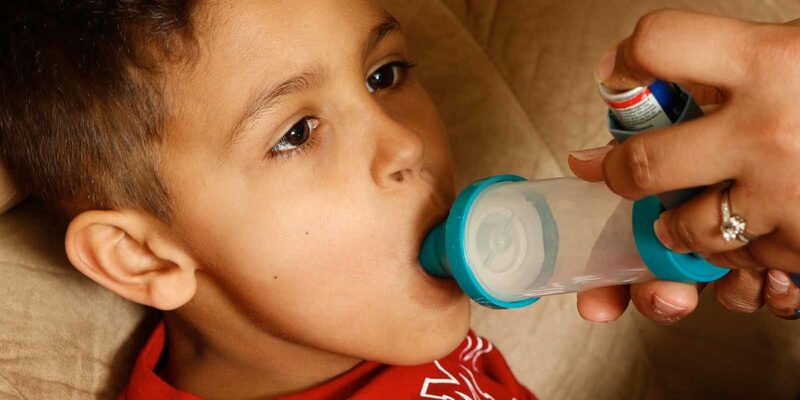 Ingestion of an allergen can cause a life-threatening reaction called anaphylaxis. 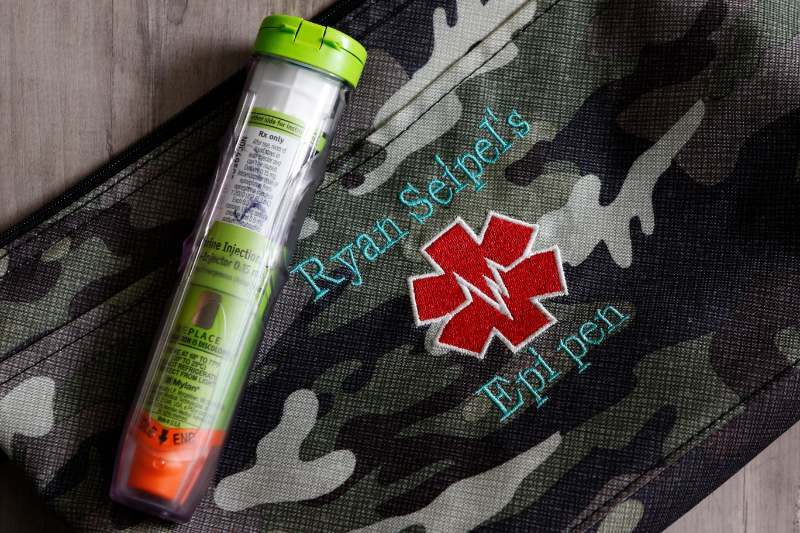 Prompt administration of epinephrine by autoinjector, such as an EpiPen, during early symptoms of anaphylaxis can help prevent these serious consequences. But of course carefully reading food labels and avoiding an allergic reaction in the first place is best. People sometimes mistake food sensitivities for allergies. Allergies are an immune response, when the body starts making antibodies against certain foods, and the antibodies attack when the person comes in contact with the foods. An allergic reaction usually occurs within 60 minutes of encountering the food, Ladinsky says. If there is a symptom much later or the following day, it is not an allergic reaction, but likely a food sensitivity. Chrissy suspected a food allergy when Ryan, at about 1 year old, ate a tiny bite of cheesecake and developed hives around his mouth. She thought his allergy was to milk and dairy products, but blood testing revealed it was instead to peanuts and soy. She then insisted on skin testing, not normally the protocol for a child that young. Nineteen “dots” were scratched onto Ryan’s back, testing for allergies to many types of nuts, strawberries, milk and other foods. That first test showed a peanut allergy. Bloodwork and clinical history also play a part in the diagnosis. Each year, the Seipels repeat the testing. At 4 years old, Ryan reacted to hazelnuts. At that point, Chrissy decided to keep him away from all nuts. At this year’s appointment, Ryan underwent a food challenge: He tolerated pistachios. Next year, they will try pecans. Every day, Chrissy and Shawn do all they can to keep Ryan from his allergens. 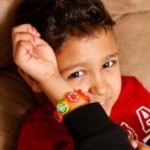 At 2 years old, he learned the words “No nuts.” He wears an allergy bracelet, and dines at the “peanut-free” table at school. He invites a friend to be his “lunch buddy” if the student is buying lunch, as no outside food is allowed at the table to avoid cross contamination. The cafeteria workers help keep an eye out. The school also has an accepted snack list for special events, and there is no snack time in the classrooms. 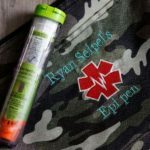 Ryan is trained to use an EpiPen, which administers an epinephrine injection to relax muscles in the airways and tightening blood vessels during an allergic reaction. More than 160 foods can cause allergic reactions, but the Food Allergen Labeling and Consumer Protection Act of 2004 (FALCPA) identifies the eight most common allergenic foods, which account for 90 percent of food allergic reactions. Symptoms of food allergies typically appear a few minutes to two hours after a person has eaten the food to which he or she is allergic. According to Karen Sarno, supervisor of food services for Carroll County public schools, the school system’s wellness policy prohibits students from sharing food and allows family members and other school visitors to bring or purchase on-site food for individual students for health and safety reasons. The school system also has formal dietary procedures which require medical documentation to be provided to the school nurse. Cafeteria staff monitor food selections at time of purchase with the assistance of point-of-sale software. Because his allergy is severe, Ryan has some limits on his activities. For birthday parties, he takes his own nut-free cupcakes, and Chrissy checks on the food being served. The family avoids events such as professional baseball games and the circus. This summer, they hope to attend an Orioles game in one of Camden Yards’ allergy-free suites, although Chrissy isn’t sure the walk to the suite will be safe. “If he can’t last five minutes in Texas Roadhouse or 10 minutes in PetSmart, how will he get to his seat?” she asks. 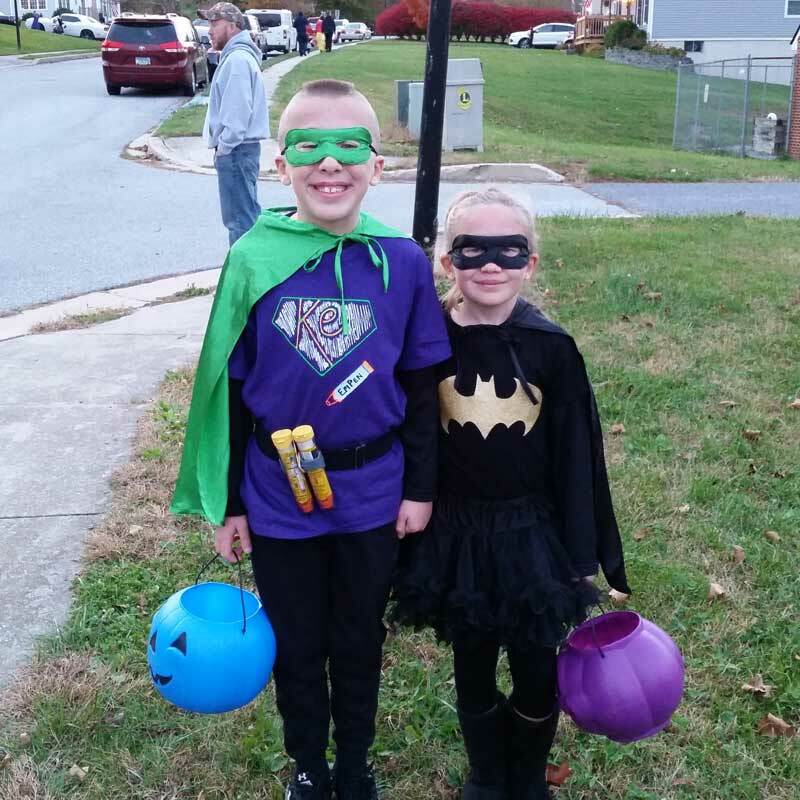 Although Ryan knows to read labels and what to avoid, one of his parents attends his activities unless the other adults present understand his allergy. 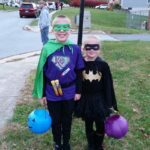 Halloween also played a part in Aidan Johnson’s allergy story. Two years ago, he went out as “Kid Epi,” complete with a belt stocked with EpiPens. It wasn’t always a laughing matter, however. At 10 months old, Aidan experienced new foods, just like any child would. He had a piece of an oatmeal cookie at his grandmother’s house and later a piece of a peanut butter cookie. He looked fine afterward, just as he did at 3 months old when he first ate cereal, and at 6 months old, when he first tasted peanut butter from a cracker and a few nibbles of egg from a spoon. But that day, after the snack at his grandmother’s, Amy Johnson found her son’s body covered with welts. 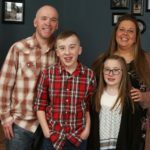 Benadryl relieved his symptoms, and a few weeks later, Aidan was diagnosed with allergies to peanuts, tree nuts and eggs. He’s also allergic to a large part of the outside environment: trees, grasses, molds and weeds. The allergist worked on a serum to help Aidan develop immunities to some of his allergens. From 4 to 7 years old, the serums went from light to more intense. 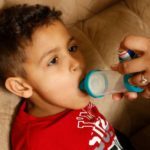 His allergies intensified illnesses into chronic ear and sinus infections with severe wheezing, and he needed a nebulizer to breathe. By the end of the serum process, he was sick less often, and no longer needed year-round allergy medication or his nebulizer. Today, at 12 years old, he takes an allergy medication in the spring and maybe suffers a slight cold during periods of high pollen counts. Recently, Aidan took a food challenge with the Asthma and Allergy Center. He rubbed a specially baked muffin — made with eggs — above and around his mouth. There was no reaction. Then he ate one-eighth of the muffin. He was still fine 15 minutes later. Then he ate another eighth, then another quarter, and then the other half, with 15-minute breaks in between. He tolerated the egg. As long as egg is not one of the top three ingredients in a baked item, Aidan can now safely partake. The component that triggers the allergy is broken down by heat, Dr. Ladinsky says. 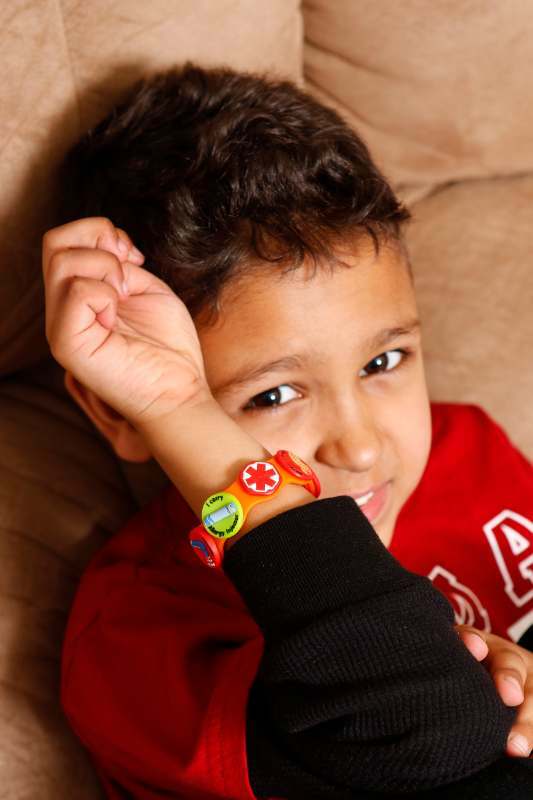 Food allergies have proven challenging for the family, particularly Aidan. 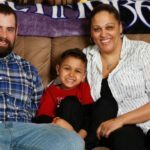 Ryan Seipel, 6, and his parents Shawn and Chrissy. Aidan Johnson, 12, shows how to use an EpiPen. 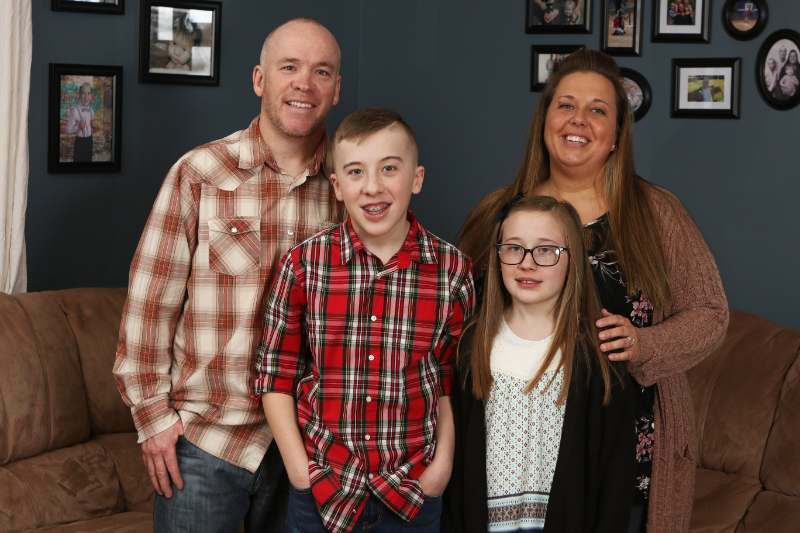 Aidan Johnson, 12, with his father Neal, mother Amy and sister Madalyn, at their home in New Windsor.